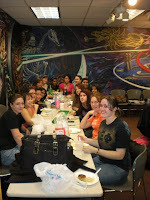 Home Blog Delta Sisters Achieve Chapter Status! Delta Sisters Achieve Chapter Status! 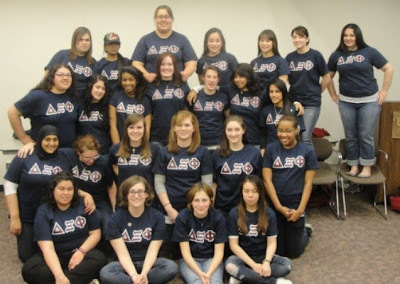 On May 8, 1999, five women started a Delta Xi Phi Multicultural Sorority, Inc. at the campus of the University of Illinois at Chicago and it became known as the Delta Associate Chapter. 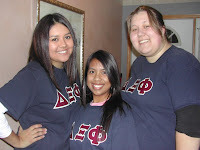 Eleven years later, the sisters at UIC receive chapter status becoming the Delta Chapter of Delta Xi Phi. “Eleven years ago Delta associate chapter was established and to see the growth and the dedication from our following sisters to continue the legacy is amazing. I am so overjoyed with Delta in achieving Chapter status,” says Ebonie Adams, founding sister. During the past few years, there has been tremendous growth at the chapter, both in membership and in chapter development. In the Fall of 2008, three sisters started recruiting to reestablish their chapter and since then, 25 women have become members of the Delta Chapter, which is up to 69 sisters. Throughout the years, Delta sisters have worked to become more recognized on campus and this past year seemed to have culminated all their hard work. They were featured in their school’s news publication, the Chicago Flame in January. 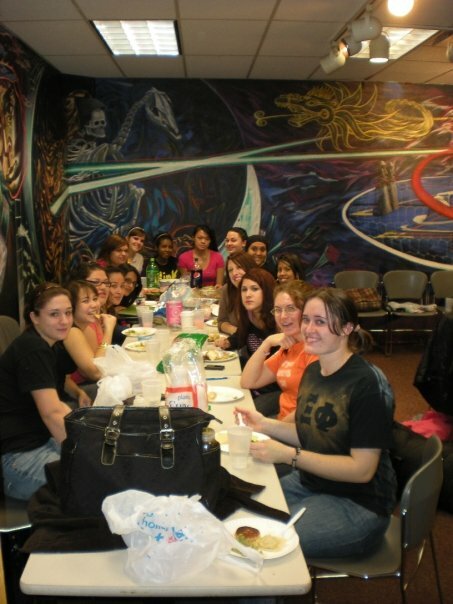 They collaborated with many other organizations on campus for their events and befriended many others in hopes of future collaboration. “We came up a lot from people never hearing about who Delta Xi Phi was, but in time our name got out there through socials, recruitment and rocking our letters. It’s a great feeling to finally be recognized by others and to see more of our letters around campus,” says Aileen Apuli, Social Chair and incoming New Member Educator. While still trying to recruit women interested in joining the sorority and upholding the pillars, the sisters of the Delta Chapter also tried to focus on networking and hosting events based on the pillars. This helped them get them recognized more around campus, but it showed a commitment the women have towards the sorority and maintaining the five pillars. “It’s amazing to me to see how far we’ve come since Ebonie, Ann, Jennifer, Kristi, and I began our journey. I have met some amazing women and have formed many close bonds. I’m proud of everything that has been accomplished and every sister that has helped,” says Maria Gasiamis Lamb, founding sister. There were some ups and some downs throughout the year for the sisters, but for the most part, they pulled through all setbacks, together as sisters. Their commitment to the sisterhood pillar was definitely strengthened throughout the year. Delta Chapter sisters plan on celebrating their accomplishments with a formal event in August. Alumna Puts the ‘Ritz’ in Ritzy Cakes!